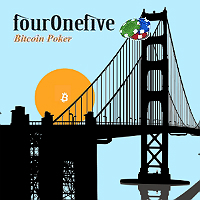 Four One Five is a newcomer in the world of Bitcoin online gambling and exclusively offers online poker betting services. Launched in 2014, this gambling venue has opened its doors to any interested player from any part of the world, welcoming them to play several rounds of poker games and tournaments on a simplistic and game-focused betting environment. To know more about this fresh Bitcoin poker site, check out the list of features and qualities that are vital for its success in the industry. While Four One Five is not exactly a Bitcoin poker site that offers a catalog of games and tournaments, it still manages to provide decent betting experience through its No Limit Hold’em and Pot Limit Omaha. Players will find here numerous tables that host ring games while those eager to win in tournaments can simply keep an eye out for the daily freerolls and guaranteed tournaments. With flexible and affordable rakes, this betting site is good enough to play poker with Bitcoin on. What is absolutely commendable about this gambling venue is that it shows efforts to keep its poker software competitive in the market. With its upgraded client, online players will surely have a better experience betting on the popular casino card game. Through the improvements made to the software, fractional chips for ring games that amount to as low as 0.1 and 0.2 BTC are now available. Meanwhile, when it comes to the security of the poker site and its players, Four One Five has secured its website and poker server using the SSL protocol. Moreover, the new 64-bit software can now host up to 500 players at the same time. This Bitcoin poker site has done an incredible job in keeping the players eager to stay on its client. With its new rakeback and referral systems, there is no reason for poker enthusiasts to even think about leaving this poker site. After all, the new rakeback system entitles bettors to receive a point for every chip raked. With the five reward levels, namely rookie, enthusiast, semi-pro, pro, and master, avid players can receive a rakeback of as low as 5% and as high as 20%. 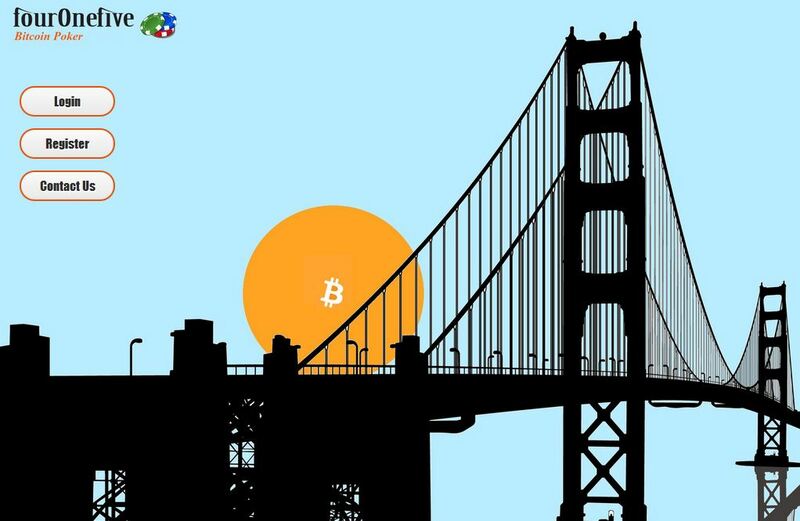 In addition, the referral system will award 25 chips to each player whose referral deposits a minimum of 0.01 BTC. Four One Five does not promise instant processing of fund transfers. In fact, it is honest enough to indicate on its website that deposits made into the player’s account will require two confirmations; thus, players must wait a few minutes before their funds are reflected on their bankroll. On the other hand, withdrawals may take up to 12 hours because transactions are processed manually. For every bitcoin deposited, though, players will receive 10,000 chips, which can be used to jumpstart exciting sessions on this poker site.